One of most unrecognized and emotionally draining “jobs” in life is that of a Caregiver. 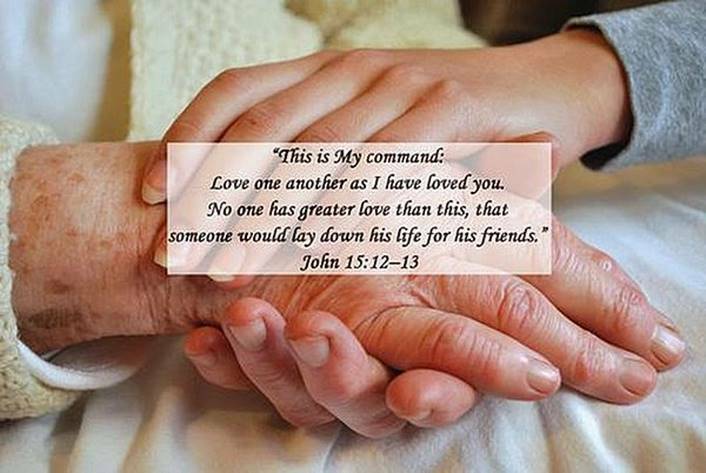 Yet Jesus said, “There is no greater love than to lay down one’s life for one’s friends.” (John 15:13, NLT) Often being a Caregiver is personally costlier than being that of the one receiving the care. I know because never in my wildest dreams did I ever see myself as one needing a Caregiver. Yet on August 23, 2017 I find myself depending on my beloved wife of 49 years Patti Piper. Writing from the perspective of one receiving care I see Caregiver’s needing recognition not in the form a “Pat on the back” or and “Atta boy or girl” but in the form of encouragement in recognizing their sacrifice by encouraging them to take a day off and get away, “I’ll take over for you while your regrouping yourself.” One of the things we all need to remember like our automobiles Caregivers cannot run on an empty tank. However, unlike our automobiles a Caregivers “engine” is running 24/7. Writing from the perspective of one receiving care there are no words that can adequately say, “Thank you Patti for giving up your personal life for me as my Careiver. I know Jesus sees the fruit of your labor and He sends the Holy Spirit as your source of strength. Thank You, my Love.” If you are one like me receiving care please give your Caregiver words of thanks and encouragement. If you are a Caregiver please put your name in the place of Patti and accept my thanks on behalf of Jesus. If you know a Caregiver I encourage you to reach to them and touch them “fill their tanks” with your support and do what you can to make their “job” easier. Remembering for the most part they are shouldering a great deal of responsibility then they are equipped to handle.